We are so excited announce announce a very festive Tilly and the Buttons contest! Everyone is invited to join us in stitching and embellishing a Tilly and the Buttons' sewing pattern to wear for the holiday season. We are using the term 'xmas sweater' loosely - it could be a Christmas sweater, Hanukah hoodie or Diwali turtleneck... as long as it's festive a snuggly it will fit the bill! 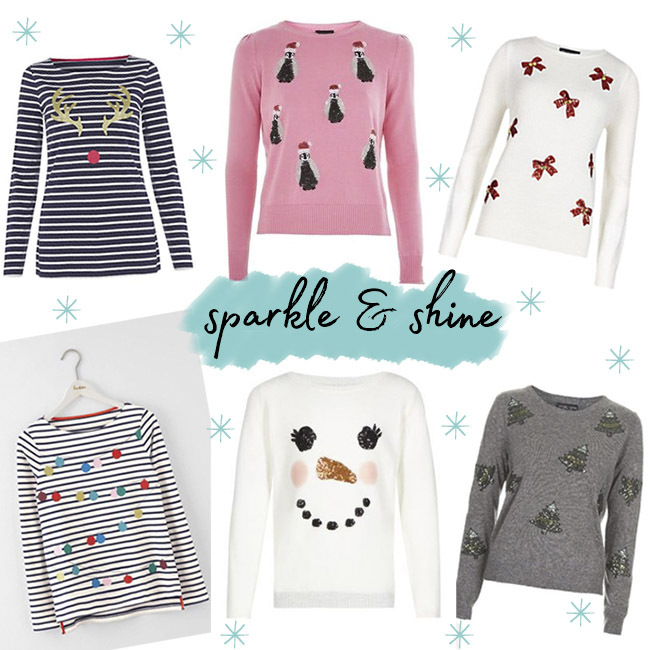 No celebration would be complete without a little sparkle - so why not add a little shine to your design? You could use sequins, beads, jewels or iron-on glitter sheets to make a glistening wonder. Pom-poms are the most fun way to jazz up an outfit. 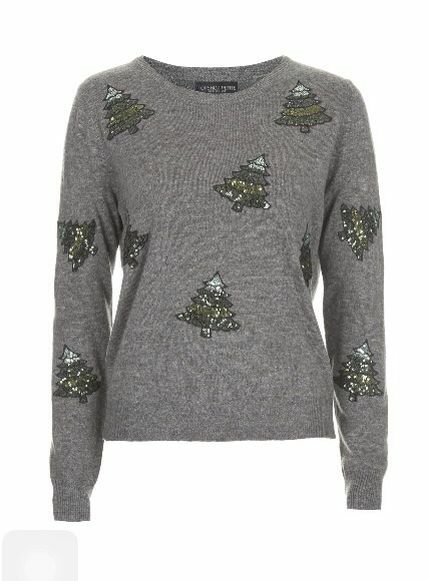 How fun are the pom-poms as a Christmas tree, or a string of lights? You could go all out and use some LED lights to really make your design stand out! 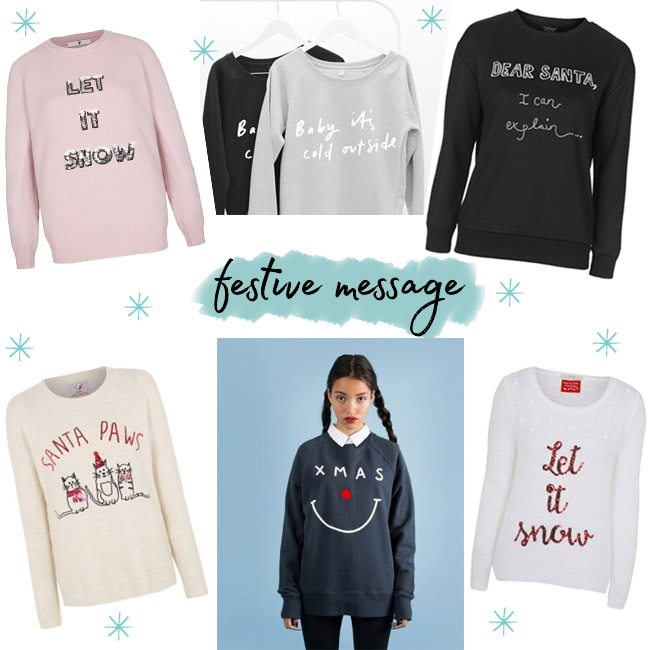 Why not let your make do the talking and add a festive message to it? You could embroider, iron-on, or machine applique letters made from your scraps! Wanna join the fun? All the details for the contest and how to enter are below. 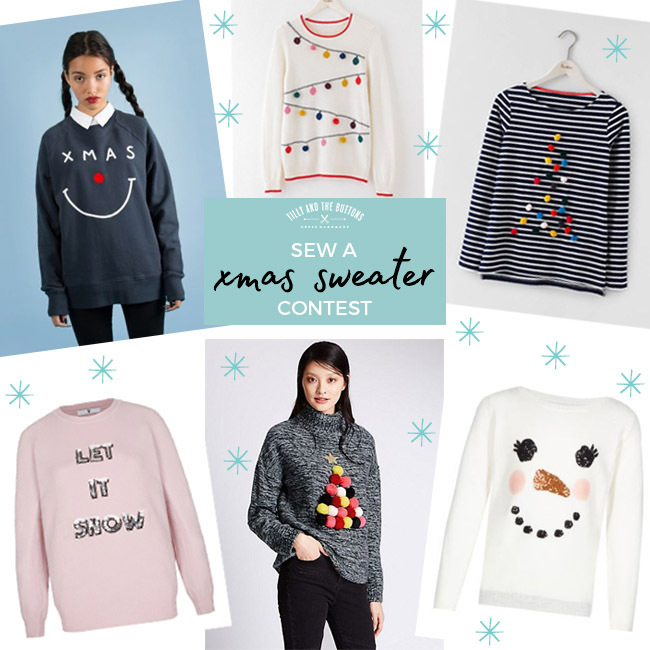 Email the best photo of your finished garment, modelled by you, or whoever you are making it for, to hello@tillyandthebuttons.com with ‘Sew a Xmas Sweater Contest’ in the subject line. 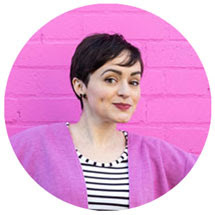 The photo needs to be sent as an attachment and should be 650px wide. All entries need to be received by Sunday 9 December 11.59pm GMT. Team TATB will pull together a shortlist of the makes that stand out. We have invited a lovely panel of judges to select the winners from the shortlist. They will pick an overall winner who will get the grand prize; and the others will each win one of the fabric vouchers. 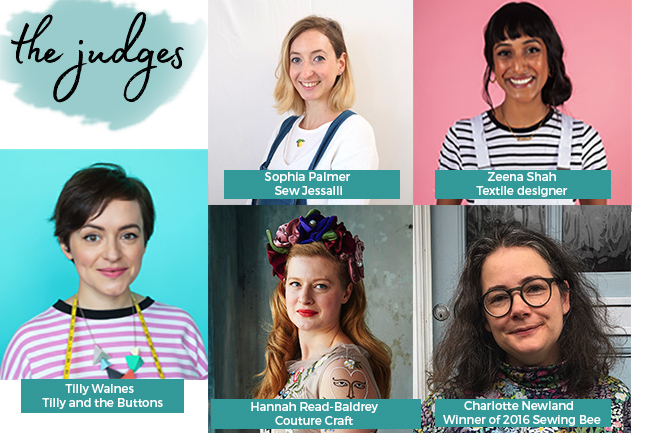 Find out more about our lovely judges: Sophia Palmer - Sew Jessalli, Zeena Shah - Textile designer, Tilly Walnes - Tilly and the Buttons, Hannah Read-Baldrey - Couture Craft, and Charlotte Newland - Sewing Bee winner 2016. 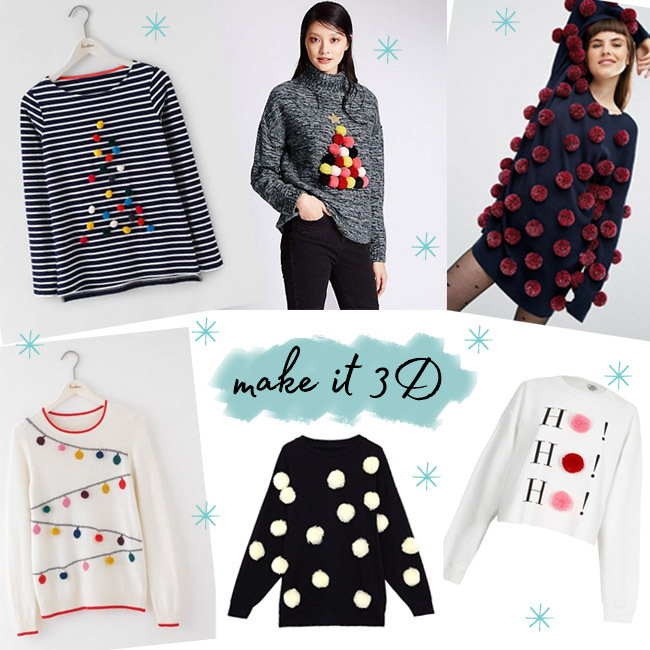 Create a holiday season celebration jumper, sweater or top that can be embellished/designed to your heart's content – this is the time of year to go all out! 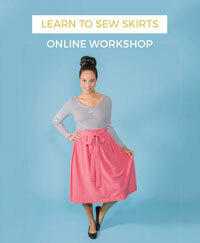 The me made garment needs to be a Tilly and the Buttons' sewing pattern, but it can be any pattern you like. The garment must be sewn and not knitted. The competition is open worldwide – the more the merrier! You may enter the competition as many times as you like, but each entry must be of a different garment. By entering the contest you grant us the right to publish your entry photo on the blog, in our newsletter, and on social media. Runner up prizes will be allocated by us and we are not able to take requests for which prize each runner-up receives. Shortlisting and selecting the winners is completed according to subjective criteria and is not intended to rank or judge anyone’s style or sewing ability. All decisions are final and not open to appeal. 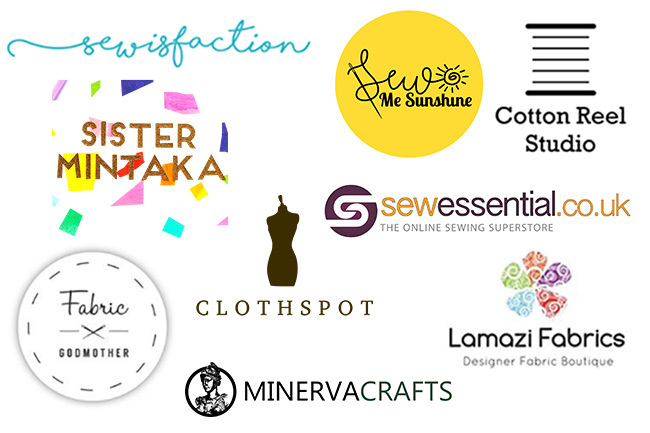 The winner will receive a jaw-dropping prize from the lovely team at Happy Fabric worth £550! If you don’t already know them, Happy Fabric create heat press vinyls that you can cut and iron on at home to create your very own design. The best part is they are machine washable, so you can wash + wear them again and again! 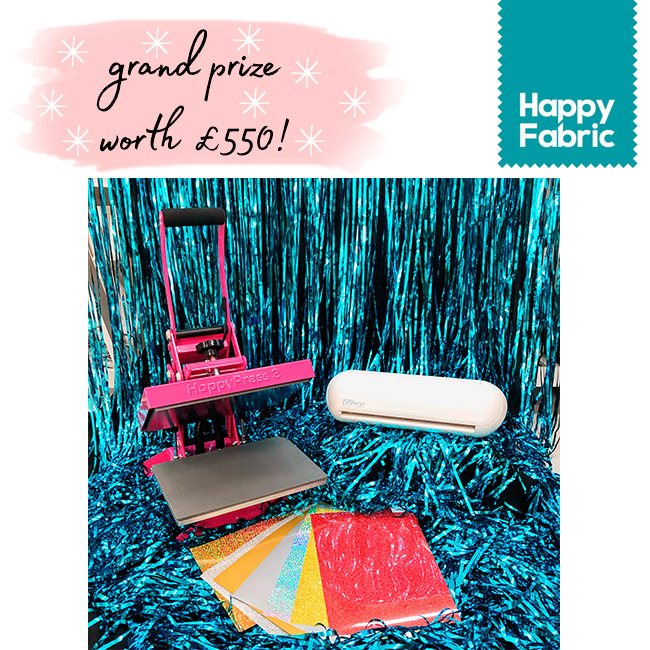 Winner will receive Happy Press 3 in Pink - worth £329, Silhouette Portrait Cutter - worth £199, and vinyl Christmas packs silver/gold and vinyl Christmas pack red/gold so you can get started on your own designs! So are you in? We can't wait to see what everyone makes! 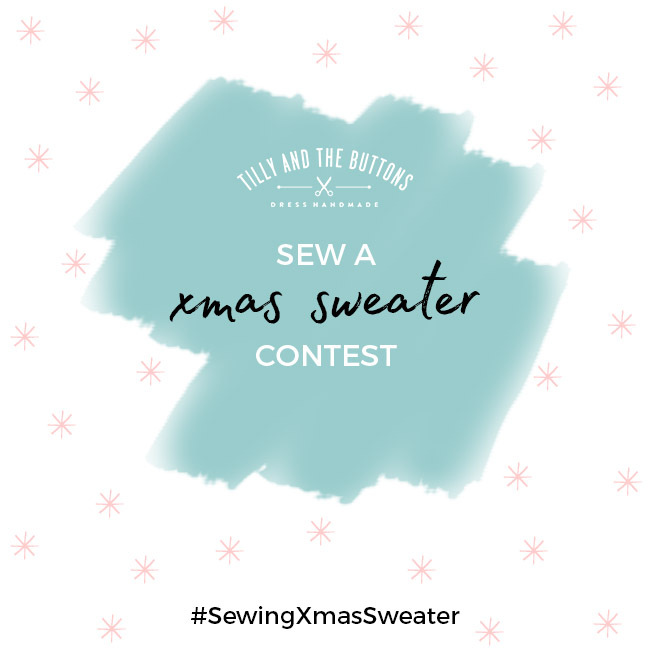 Don't forget to use #SewingXmasSweater if you share any pics on social media.